JSC UkrGasVydobuvannya owns a chain of 19 gasoline filling stations located in Kharkiv and Kharkiv region. Through the chain of gasoline filling stations JSC UkrGasVydobuvannya sells self-produced petroleum products: Shebelynka gasoline A-95, A-92, diesel fuel (Euro-5 standard) and LPG. Today, the gasoline filling stations operate under the name ‘UkrGasVydobuvannya’. However, the chain rebranding has already launched. It provides for change in appearance and a qualitatively new approach to the associated service at the gasoline filling station. 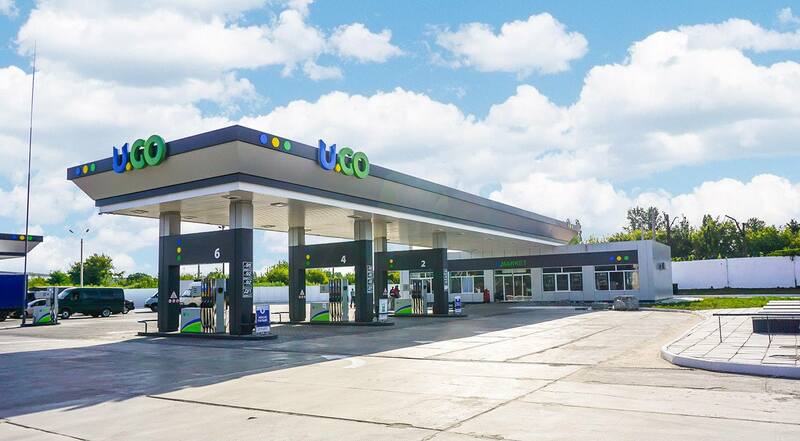 The first gasoline filling station of JSC UkrGasVydobuvannya under the new brand U.GO began operating in September 2017 in Kharkiv at 127 Haharina Avenue. The company plans to increase the number of gasoline and fuel filling stations.